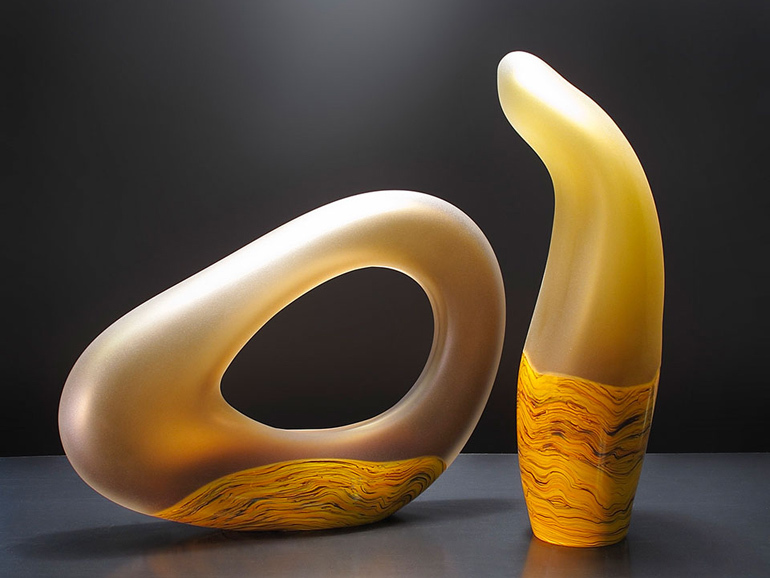 Senado glass sculpture is a composition comprised of two handblown glass forms. 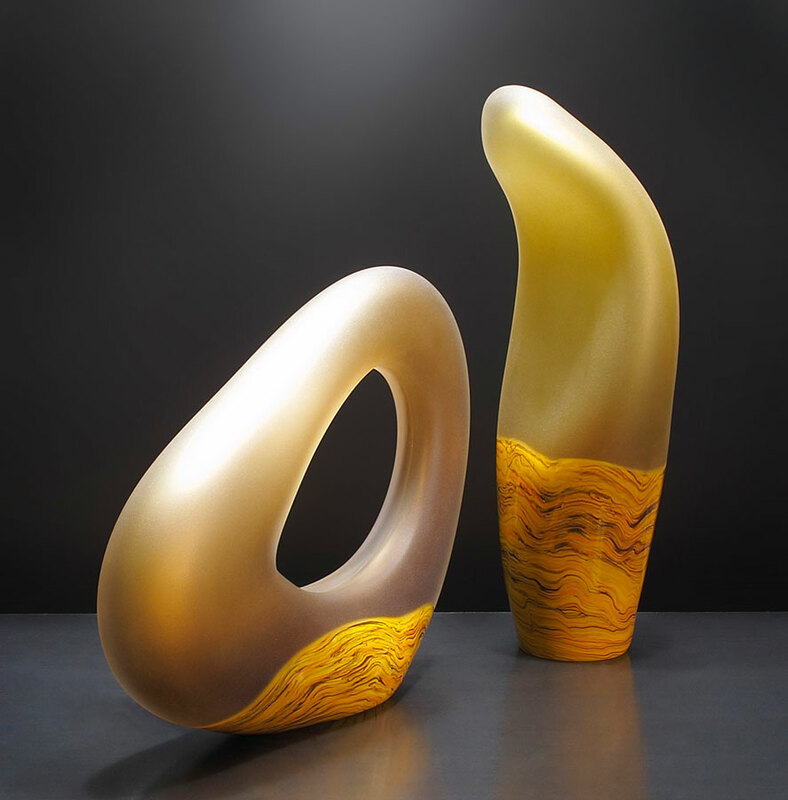 A soft visual rolling movement guides the eye throughout the sculpture. The visual movement is kept contained by the deliberate posture of the glass forms. The viewer may see a landscape unfolding… Or the viewer may see a figurative interaction at play. The imagination of the viewer is what completes the story. The glass pieces display yellow-gold and amber hues. These colors aid in the visual bond found within the artwork. 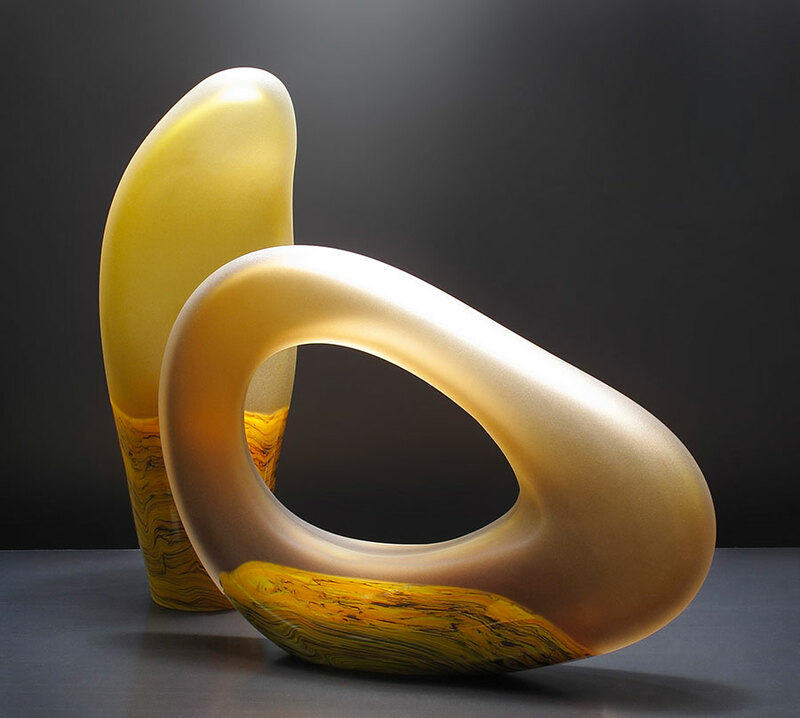 Senado is a contemporary one-of-a-kind glass sculpture. 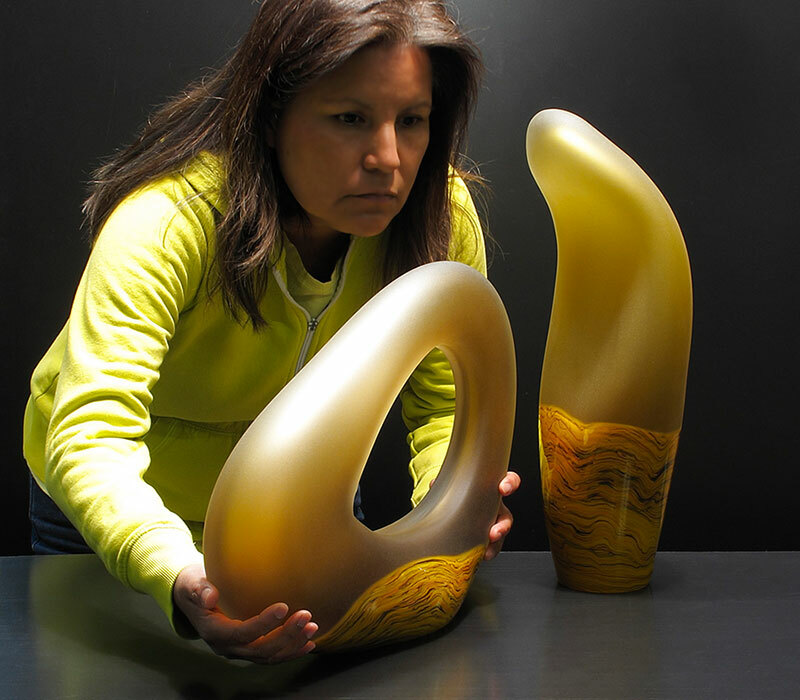 This artwork is hand blown and extensively cold worked. The below video shows a 360-degree view of the work.